•Flexible Tip – Designed to allow access to a tortuous ureter. 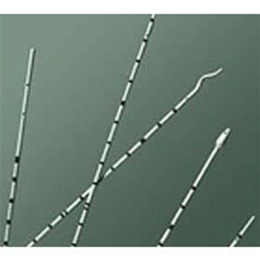 •Shaft Quality – BARD® Polyurethane Ureteral Catheters have an exclusive high quality shaft that is flexible and smooth for greater patient comfort. •Ease of Identification – Color-coded distal end for ureteral identification; Red-right, Blue-left. •Ease of Use–Single use product for convenience and assured sterility. •Complimentary Line – Various sizes and tip configurations for a variety of procedures. •All polyurethane ureteral catheters are radiopaque, graduated and packaged sterile.